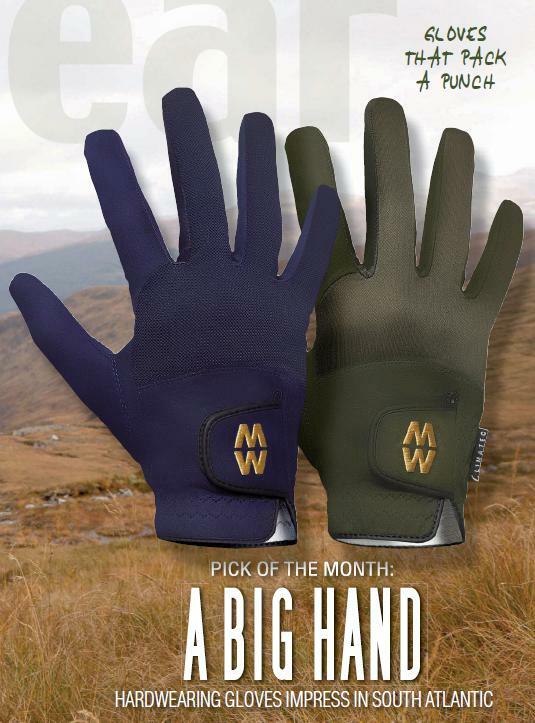 This is why we were so impressed to receive a write up in Soldier Magazine for MacWet gloves being their ‘Pick of the Month’ for gloves. Reviewed and written by LCpl Michael Mcmurtry, IG, we are delighted to have passed such a high standard of testing. ‘MACWET gloves are being marketed with some pretty big claims. The breathable, hardwearing sports accessories – priced at an affordable £27.99 – boast an “all grip, no slip” technology that is apparently unrivalled in any type of outdoor environment. kit out. With weather conditions in the field similar to those of the Brecon Beacons, the MacWets really had their work cut out. mind, the gloves had a rather more serious undertaking when put to the test in the harsh environment of the South Atlantic. From the offset of the trial, I thought these gloves were superb. They are so lightweight and thin that they make tasks such as changing mags and administrating yourself in the field simple. Being so fine, however, can often pose the danger of damage to material under pressure. But the MacWets do not seem vulnerable to rips and tears, and I found them to be very durable and hardwearing on unforgiving rock and shingle. Their waterproof material – suitable for the most challenging of watersports – is surely the ultimate selling point for this gear. Being thin means that even if soaked they dry within minutes when placed on a radiator back in camp or even when left on the user’s hands on a windy day. Most gloves currently on the market are bulky and uncomfortable, causing a negative impact on your movement. However, the way the MacWets’ Aquatec fabric responds to both moisture and climate change means users benefit from maximum grip and comfort at the same time. The breathable palm fabric causes any moisture on the skin to be wicked to the outside as quickly as possible. The gloves are available in 14 different sizes and a variety of colours – in either Micromesh for the warmer months or a cosy Climatec for more wintery conditions. All in all, the MacWets are an awesome piece of kit for soldiers who mean business. Wow. We beat off competition from 5 different gloves which were also featured and reviewed in the magazine to take ‘Pick of the Month’ top spot, and we are absolutely thrilled with this write-up. We promise to keep up the good work! MacWet Score a Hole in One! We are absolutely thrilled to have received a stunning review from across the pond from a wonderful golfer! We sent a pair of our MacWet gloves over to the USA to have them reviewed by a keen golfer who wanted good grip and control, just like any golfer would. We knew our gloves should be part of any golfer’s essential kit, so we put a pair of our gloves on an aeroplane and wished them the best of luck! Sending a pair to be reviewed by Dallas Divot Report (who reviews all things golf!) we were delighted to see they had blogged their review for the world to see. ‘First and foremost, Dallas Divot Report would like to thank MacWet Gloves for sending us a pair all the way from the UK for us to try and review. I must admit, I was a little skeptical of trying these gloves because they definitely break out of the traditional leather golf glove. I have played two rounds of golf using the MacWet Glove, and I may never go back to a regular golf glove again.’ Fantastic! Continuing on…‘MacWet gloves are very durable and made with Aquatech Fabric that helps keep the glove soft, and more importantly, your hands DRY. When not gripping the club, the glove appears to have the feel of a soft thin glove, but once you touch the grip that all changes. It’s almost like the Aquatech Fabric was made for rubber golf grips because the feel and comfort when holding the glove was AMAZING. The best part in my opinion would have to be that the gloves offer such durability. Pros change their gloves out every round or more, but average golfers tend to wait until the leather gloves get holes or dry up. With the MacWet Gloves, a player doesn’t need to change gloves because they don’t dry and crack like leather. I would honestly feel comfortable playing a round of golf in the MacWet Gloves and then keeping the gloves on to go do yard work around the house. Can you say TOUGH? Wow! 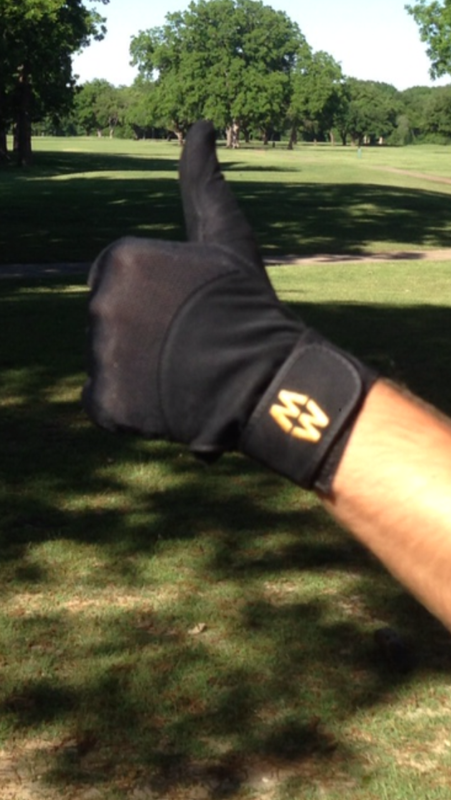 Looks like we have won over another golfer with our ‘all grip, no slip’ gloves, and we couldn’t be happier! MacWet has been featured on the Photography for Beginners magazines website, the article located in the News section puts MacWet gloves to the test under photography conditions. Due to the nature of photography, you need to be ready to press the shutter in a second to capture that perfect photo. Often being outdoors for long periods of time, in warm and chillier climates, the photographer needs to ensure their grip is the very best it can be. Fiddling with buttons due to slippy fingers could mean the difference in capturing that once in a lifetime image or capturing a barely mediocre image. Another aspect which photographers need apart from a brilliant grip is a pair of gloves which aren’t cumbersome as their responses are decreased when having to battle to alter the shooting conditions. So, lets see how we did in the photography world in the ‘We put MacWet’s ‘All Grip, No Slip’ gloves to the test’ news piece by Joanna Strauss. ‘MacWet Long Mesh Sports Gloves are ideal for keeping a steady grip on your camera, no matter what the weather. The Aquatec fabric reacts to moisture and changes in climate so that you still have plenty of grip in both wet and humid conditions. They are also very breathable, making them comfortable to wear even in hot weather. The gloves are available in a range of sizes to fit your specific hand size so they have a snug fit and fasten with a velcro strap around the wrist. We passed the photography test and are proud to be helping photographers capture those beautiful images. To read the article yourself, please visit tinyurl.com/palrroq. We were thrilled to receive this raving testimonial from George Meyrick, a professional polo player! Polo is a sport which requires balance, concentration and precision, the one thing which connects all of these aspects of playing polo together is that of unwavering grip. 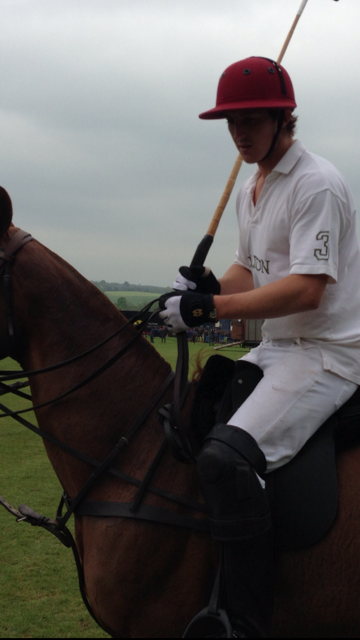 The rider must hold the horse reins as well as hold the polo mallet in preparation for a swing and hopefully a score! Lasting one and a half hours and played outside, the rider needs to be prepared for all weather conditions (cold and wet or dry and hot) as well as maintaining grip and control for an hour and a half. This is where MacWet excels for the polo player. Next time we attend a polo match, we’ll be sure to help the players by getting involved with the divot stomping (stamping down the torn up turf at a polo match), it’s the least we can do! 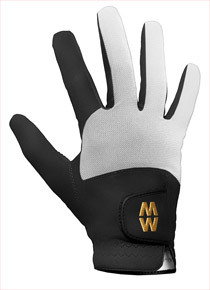 Looking forward to seeing our gloves in action at polo matches; MacWet is taking over the sporting world! Worthy of an Olympian, our Gloves do us Proud! 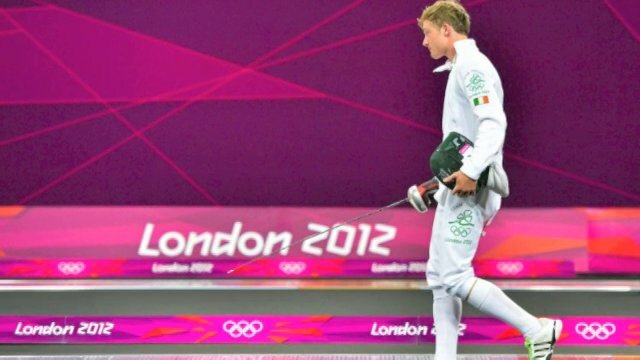 We are delighted to bring to our readers another brilliant review, this time from the Irish Olympian and Junior World Bronze medallist, Arthur Lanigan O’Keeffe. Arthur competes in the modern pentathlon, which consists of 5 challenging sports and was devised to be an educational sport. Aiming to test the competitors in numerous ways, each sport has a different means of stretching the competitor to their limit. These 5 sports are: running, swimming, shooting, fencing and show jumping. The 3600m cross-country run and 200m freestyle swim focuses on the purely physical side; pistol shooting requires concentration, stress control and precision, testing the mental abilities of the competitor. Fencing demands intelligence, forward thinking and adaptability and finally, show jumping an unknown horse requires adaptability, self-control and courage. Arthur commented: ‘Great gloves in all climate conditions whether the sun is shining or the heavens pouring, [MacWet gloves] will be a new edition to my kit bag for sure’. Arthur recently wrote on his social media pages that it is all ‘about Rio 2016’ and that he is ‘aiming BIG’! We have every faith in Arthur and believe he can bring home gold for Britain! We’ll be keeping our eyes well and truly open for our MacWet gloves at the 2016 Olympics in Rio, we’re sure Arthur will be competing! It’s that time again! And with the days slowly beginning to warm up, we decided to treat one of our lucky fans to a new pair of our Micromesh gloves! Perfect for the summer months, our Micromesh gloves ensure sensitivity and grip is not compromised to ensure hands remain dry and moisture-free while under pressure to perform. By aiding the circulation of airflow, our unique aquatec fabric responds to the presence of moisture and our gloves are ‘all grip, no slip’, ensuring sensitivity is maintained. Follow us on Twitter (@MacWetgloves) and RT this competition. If you are not convinced on how brilliant our gloves are, have a look at our previous blog posts, you’ll be rushing back to enter! T&C’s: To enter the competition you must be a UK resident at the time of entry. Only one entry per person and the prize cannot be transferred to another person or exchanged for another prize or cash. MacWet reserves the right to amend these rules at any time. ‘All grip, no slip’, MacWet win over another sporting enthusiast! 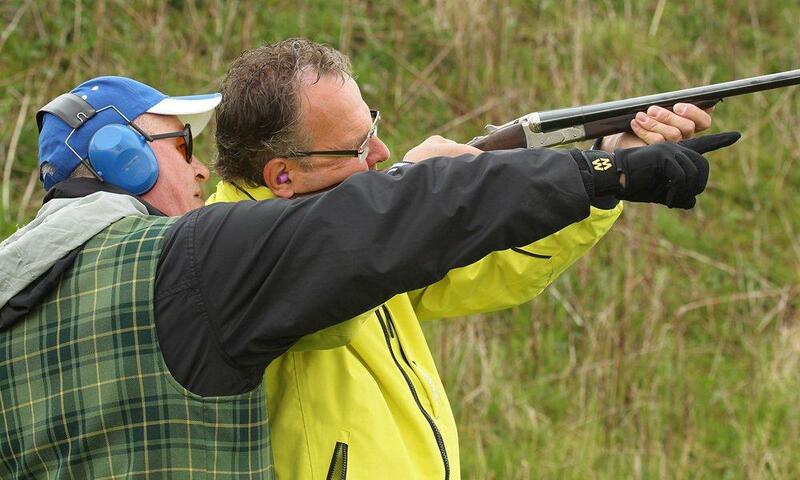 We are delighted to have received a superb testimonial for our MacWet gloves from Ron Maxwell, the chief shooting coach at the Scottish Clay Shooting Centre, Leuchars, Fife. We are absolutely thrilled to have won over Ron so wholeheartedly! Our gloves can be used in all weather conditions, the Climatec gloves aim to keep hands warm and dry during those chillier and wetter days, protecting hands from the elements these gloves give increased warmth by being windproof, water resistant and fleece lined. Our Micromesh gloves can be used during the warmer summer months when dry hands are essential for maintaining grip and sensitivity. Aiding the circulation of airflow, MacWet’s unique aquatec fabric responds to the presence of moisture. Our motto is ‘all grip, no slip’ and that is exactly what our gloves do for their wearers, as experienced by Ron!